This month, check out the grand opening of the New Central Library, watch Olympic skaters at the 2018 ISU World Cup Short Track and check out a new bar with 50 arcade games. 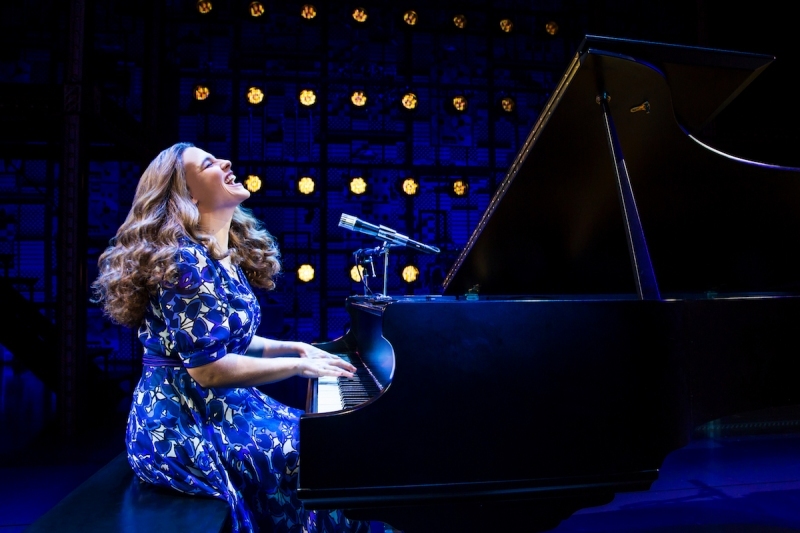 Beautiful: The Carole King Musical runs from October 30 to November 4. Photograph by Matthew Murphy. In Beautiful: The Carole King Musical, audiences dive into the life of singer-songwriter Carole King, whose songwriting credits include hits like “(You Make Me Feel Like) A Natural Woman” and “You’ve Got a Friend.” The biographical musical covers her personal journey and professional accomplishments across 13 years. National Taco Day may have already passed, but it’s never a bad time to indulge in everyone’s favourite wrapped food. No matter what day of the week it is, you can grab a group of friends and find a Calgary restaurant offering a deal on tacos. Aliens, tentacled creatures, cannibalism — Theatre Bsmt covers it all. The horror-focused theatre company knows how to take scary topics and turn them into great theatre, and its latest production is no different. Bright Lights, which runs from October 31 to November 3, focuses around a support group for those who’ve had alien encounters. It’s been years in the making, and now, the New Central Library is officially opening to the public on November 1. Swing by for a visit between November 1 to 4 to take part in the many opening celebrations going on over the weekend, which include a ribbon cutting ceremony, a pop-up opera, Indigenous dancing, drumming and beading, story recordings, children’s performances and more. For those who want to tour the stunning new building, there will be hourly architecture tours from November 1 to 4 and hourly general tours from November 1 to 10. Shop for made-in-Canada jewellery, food products, artwork and more at the 32nd edition of the Festival of Crafts. The annual holiday market brings more than 250 vendors to the BMO Centre for four days of shopping and holiday cheer. As you travel along Memorial Drive this month, take a minute to honour the memory of thousands of Southern Alberta soliders who’ve sacrificed their lives. More than 3,400 white crosses will be set up across five acres from November 1 to 11 as part of the Field of Crosses Memorial Project. The site will host a Remembrance Day service at 10:30 a.m. on November 11, as well as a daily flag raising ceremony at sunrise and a flag lowering ceremony at sunset between November 1 and 11. If you were watching the 2018 Winter Olympics in PyeongChang earlier this year, chances are you saw Canadian skaters like Charles Hamelin and Samuel Girard earn medals in short track skating events. This month, they and several other notable Canadian skaters will gather in Calgary to participate in the first 2018 ISU World Cup Short Track competition at Calgary’s Olympic Oval, which has previously hosted this event in 2012 and 2016. The competition will feature 500, 1,000 and 1,500 metre and 5,000 metre relay races. Order some popcorn and watch films from 20 European countries including Bulgaria, Italy, Poland, Serbia and more during this annual film festival. English subtitles will be provided. Nothing beats the smell of freshly baked bread, and this month, you can learn how to bake your own sourdough bread from Sidewalk Citizen Bakery owner Aviv Fried. Offered weekly in November, the classes will cover how to make a sourdough starter and the whole process of making bread from kneading to baking. Bonus event! We recently revealed the 2018 class of Top 40 Under 40 and are celebrating their accomplishments at our annual Top 40 Under 40 gala on November 8. Order your tickets now and join us for an inspiring night (complete with a welcome drink and hors d’oeuvres) in the Jack Singer Lobby. The next time you take your dog down to the river for a run, swing by East Village for a romp in its new off-lease dog park. Situated not far from the Simmons building and near the community garden, the fenced-in dog park offers great views of the river and George C. King Bridge while you play with your pooch. There will be a little something for everyone at Greta Bar when it opens in the Beltline this month. Spread out over two floors, the new arcade bar will be serving globally inspired street fare such as ginger beer bao buns and Hawaiian garlic shimp plates, as well as local beer and a selection of shareable cocktails. You can also bust a move on the dance floor or play one of the 50 interactive arcade games with some friends. Think you know the story of literature’s most famous vampire? In Vertigo Theatre’s Dracula: The Bloody Truth, Dracula’s arch enemy, Professor Abraham Van Helsing, joins up with a trio of amateur actors to reveal the vampire’s real backstory, embodying 40 different characters in the process. Every year, the Canadian Jazz Festival wraps things up with its JazzWalk event on the final day of the festival. Free guided tours will take you to Inglewood and East Village venues to see 10 jazz artists and groups perform from noon to 6 p.m. This year’s artists include JazzYYC Youth Lab Band at the New Central Library, the Angela Wrigley Duo at Art on Ninth and AC Dixie at Cold Garden Beverage Company. The Canadian Jazz Festival runs from November 8 to 11. Tired of getting the usual croissant or piece of toast with your morning coffee? There’s a new baked good being offered at Monogram’s three coffee shop locations on weekends: cream puffs. Created by local chef and food writer Carly Hamilton, the two-bite delicacies have come in flavours like crème brûlée, salted caramel, matcha and coffee so far. Did you know that Calgary is home to the biggest modular synthesizers in the world? The Original New Timbral Orchestra (TONTO) has been undergoing restoration at the National Music Centre since 2013 and now, it’s time to celebrate it at TONTO Week. The festivities include a late night party with TONTO and A Tribe Called Red, two film screenings and an in-person demonstration by TONTO co-creator Malcolm Cecil. This month, check out the brand new Shop Small Pop-Up that is taking place in Kensington’s new Small Space Gallery. The Shop Small Pop-Up will feature items from just over 20 Canadian makers and companies — pick up stained glass pieces from Rebecca Maher Glass, lovely candles from 1905 Candle Co., reusable straws from Straw Hut Co. and more. If you find yourself craving a late-night snack this month, swing by one of these 11 restaurants. They all offer late-night deals on dishes like kati rolls, pasta, sliders, Japanese barbecue and more. Held at Spruce Meadows over three weekends, the International Christmas Market is a great spot to do your holiday shopping. Enjoy performances by festive carollers and shop more than 300 vendors set up in indoor and outdoor areas of the equestrian facility. The next time an unexpected blizzard hits Calgary (which, let’s be honest, could be any day), make a beeline for one of these local ramen spots. They offer hot bowls of shoyu, tonkotsu, shio or miso ramen and are just the thing to keep you warm from the inside out. From “Sherry” to “Can’t Take My Eyes Off You,” Frankie Valli and the Four Seasons have given us some of pop music’s most iconic songs. And for the next three and a half months, you can learn more about their story at Stage West’s newest production, Jersey Boys. The musical covers the band’s entire musical journey from when they were kids living in New Jersey. Oh, and did we mention that Stage West’s shows also come with dinner? Photograph supplied by Calgary Zoo. Every winter for around a month and a half, the Calgary Zoo remains open in the evenings and invites the public to explore its grounds, which are decked out in colourful light displays for its annual Zoolights event. 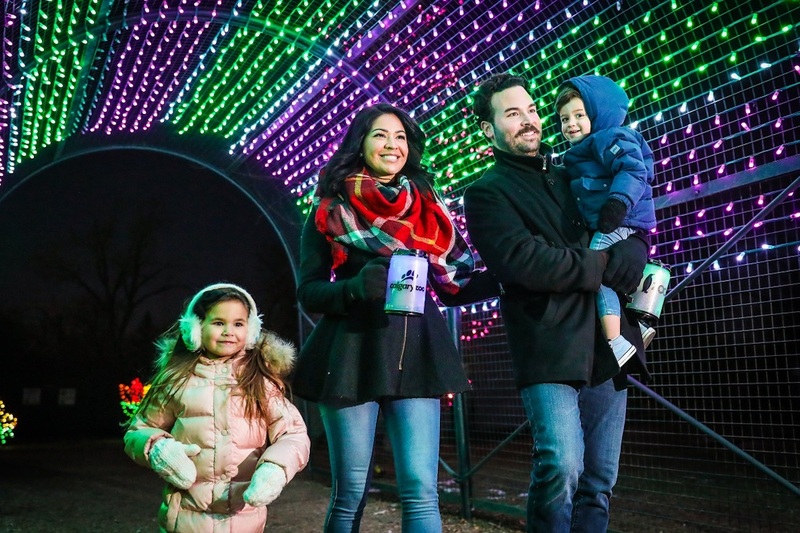 This year’s Zoolights will be bigger than ever with more than two million lights spread out over 200 displays. Family-friendly activities and fire pits round out the festivities. The next time you’re craving ice cream, check out one of the two new shops that have recently opened in the city. Berlingo is a new soft serve shop by the team behind Yann Haute Patisserie and it serves flavours like pineapple-lime and raspberry cherry topped with handmade pate de fruit, nougatine and marshmallows. And if you’re downtown, head over to Otto Gelato to grab a scoop of coffee or strawberry gelato. Several winter runs take place in Calgary each year, including the Great Sweater Run where participants don their best holiday-themed sweater for the race. Choose between a three, five or 10 kilometre race at South Glenmore Park. For many of us, the holidays mean breaking out our pots and pans to make some Christmas baking for our family and friends. But if you’re looking to make something a little different this year, consider taking one of The Cookbook Co. Cooks’ Christmas baking classes, which run at 10 a.m. and 2 p.m. on November 25. Who knows, you may just discover your new favourite holiday treat.